Good morning! How are you doing today? I’ve got a busy week, so let’s get to the fun stuff! I know there are all sorts of holiday fitness challenges out there and I know I’m a little late to the game, but better late than never, right? 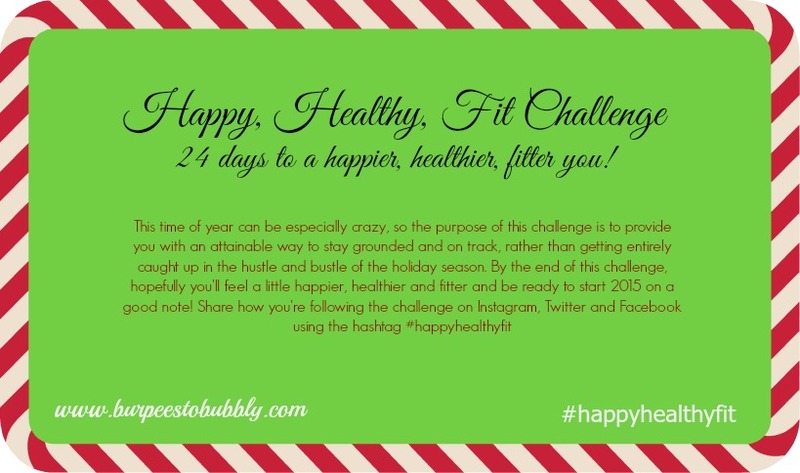 What I’m excited about most with this challenge is that it’s very attainable, even with crazy busy holiday season schedules. I don’t know about you guys, but I don’t generally have a lot of “free time” at this time of year. Long gone are my hour long gym trips (unless I’m teaching), Sunday night “meal prep” is an ancient memory and I’m often feeling quite overwhelmed with the task of trying to get my shopping in and finding time to attend various gatherings. Can you relate? Throughout this challenge, there’s a task/challenge for the 24 days of December leading up to Christmas. They range from fitness challenges or short workouts to little ways to stay more active to giving to others and to giving to yourself. Everything in this challenge is something I always say to myself “I want to do this sometime. I should really start doing more of that.”, etc. RM was a big contributor to a lot of these ideas, so I have to thank him for that! So, what do you think?! does this sound like something you’d want to participate in? I got some good responses on Facebook, but if you didn’t get a chance to see that, let me know in the comments below or email me at burpeestobubbly@gmail.com if you’re interested. I’d like to have a tentative list of people who want to participate and maybe even keep a google doc to track everyone’s participation (similar to what Athena has done for her challenges). I’m going to have a few prizes at the end, too! I’ll have the full calendar and more challenge details for you on Friday! Monday– I did another at-home workout during my lunch break. It was similar to this workout, except I worked out for about 45 minutes. 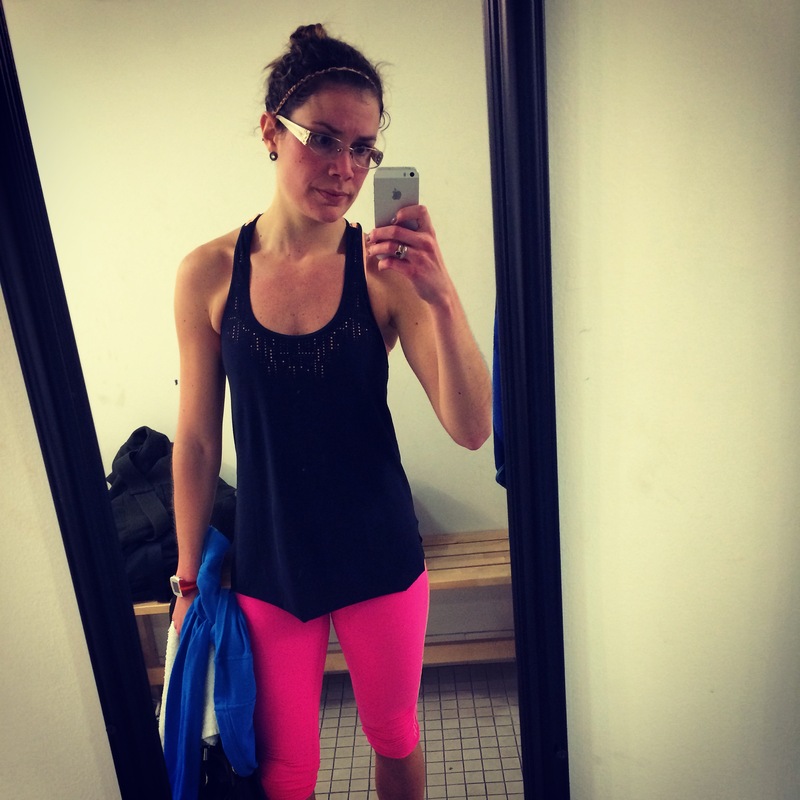 Tuesday- I went to Cara’s Tabata Treadmill class at Beantown Bootcamp and it was awesome! I definitely plan on going back! Wednesday- I did 15 minutes on the elliptical before teaching UXF Burn. I was feeling kind of lightheaded so I took it easy. Thursday- I had all intentions of going to my favorite cardio kickboxing class after work, but realized I forgot my shirt. I ended up swinging through Lulu and grabbed a cute shirt on sale. Perfect. I get to the gym, get changed and realize I don’t have my sneakers. #epicfail Since I physically and mentally REALLY wanted to workout, I headed home and ended up doing an hour long cardio kickboxing workout in my living room. If I had been feeling worn down or sore or just “meh” about working out, I would’ve used it as a sign to skip the workout, but everything in me was all about working out, so I made it happen! Saturday- I taught my cardio kickboxing class at the Oak Square YMCA. There was a big crowd and we worked super hard! Monday- Today is a big day of workouts as I taught my 6am Muscle Work class (last one as that gym is closing 😦 ) and am subbing the 6:30pm Cardio Kickboxing class at the Watertown BSC tonight. Tuesday- Not sure- Maybe bootcamp after work, maybe my own workout. Wednesday- Likely a rest day as I have to work in the morning and then I’m heading straight to Maine after my half day. Friday- I’ll probably go to a class in the morning at the YMCA near my parent’s house. Saturday- My sister and I had talked about maybe going to a class at Exhale Spa when we get back to the city. I’m looking forward to Thanksgiving and spending it with friends and family. I’ve got so much to be thankful for this year! I’m also excited to finish the prep work on my challenge and introduce it to you guys. Hope you’ll love it! 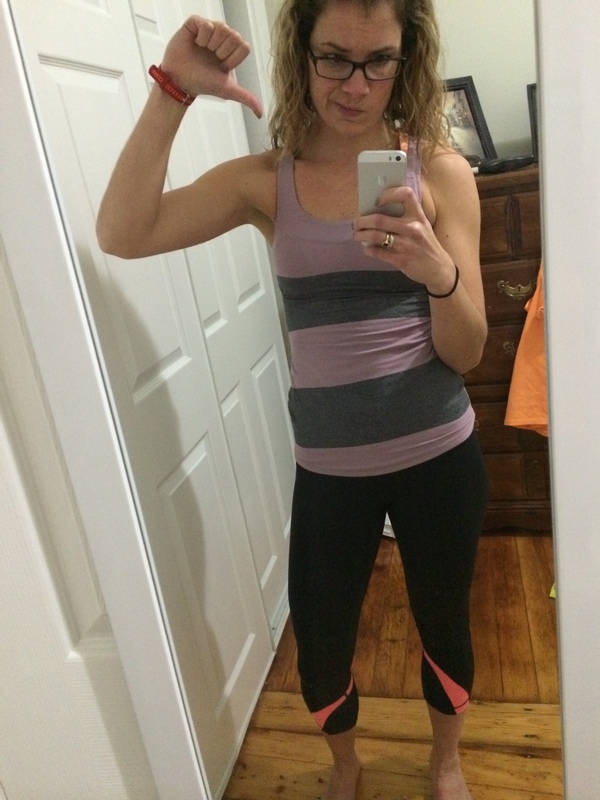 Questions for you: What was the best workout you had last week? What are you looking forward to this week? Do you think you’ll be interested in my challenge? I think I might be interested in your challenge – I like simple things I can add on to what I do and it sounds like that is what you are thinking. Plus, I always love your workouts. Kim, I think you would like it 🙂 Be on the lookout! I have certainly provided modifications and options!